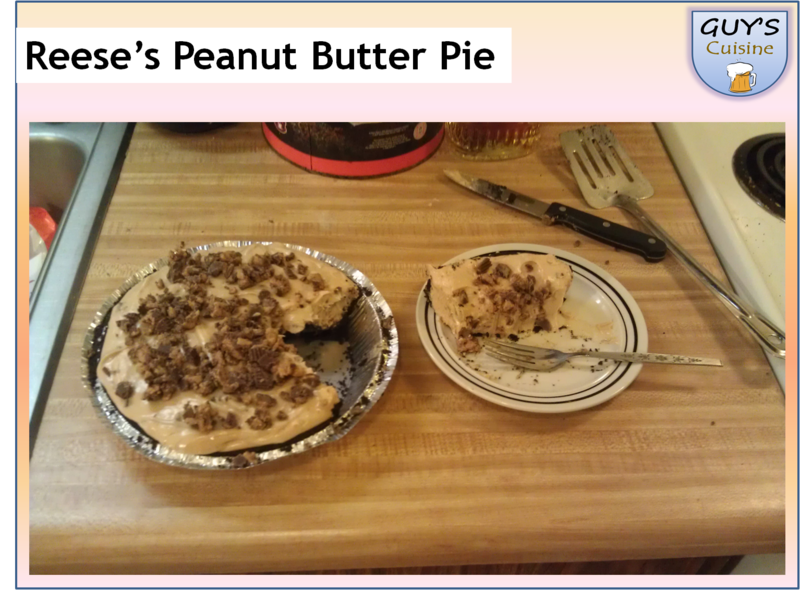 Ultimate Pi Day, I also made a presentation and cooking video! 1. 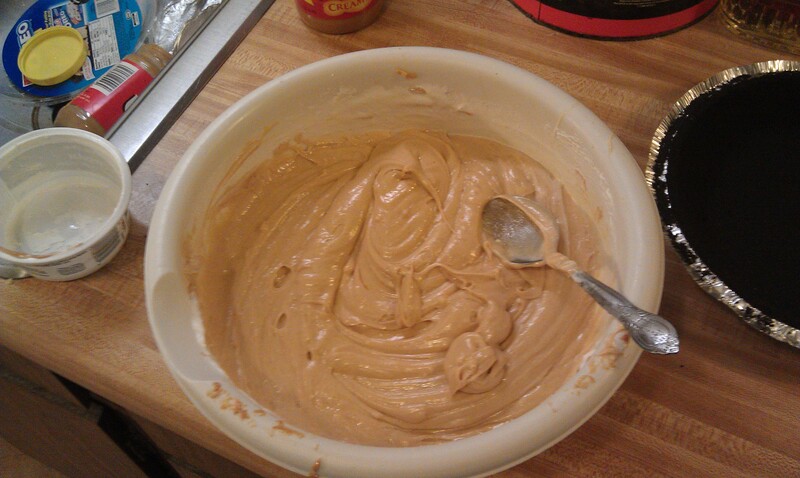 Combine the cream cheese, powdered sugar, peanut butter, and condensed milk in a large bowl. 2. 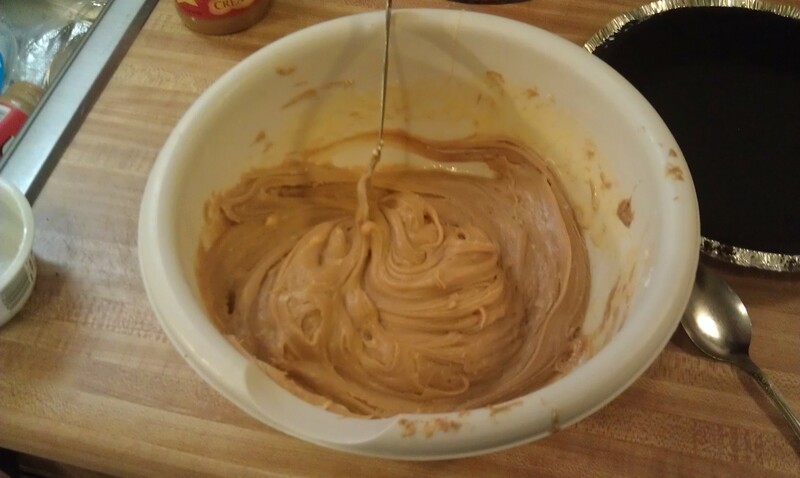 Add in the whipped topping, and mix well! 3. 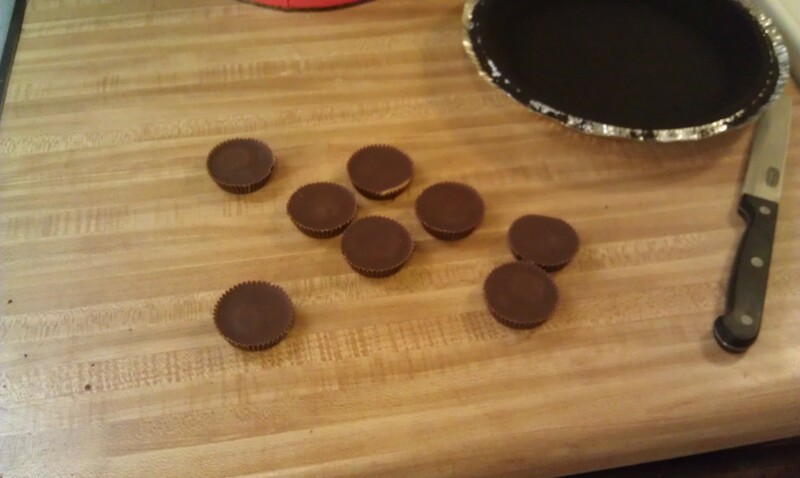 Cut up and chop 8 Reese’s peanut butter cups, and add into pie filling. 4. 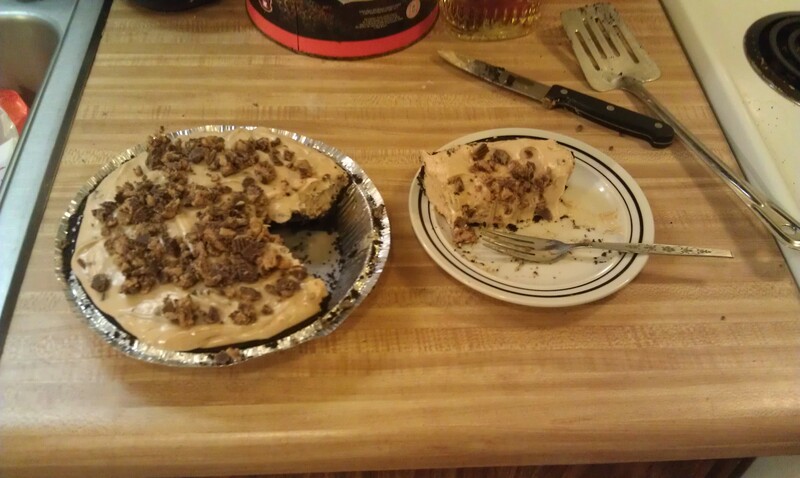 Pour pie filling into the cookie pie crust. 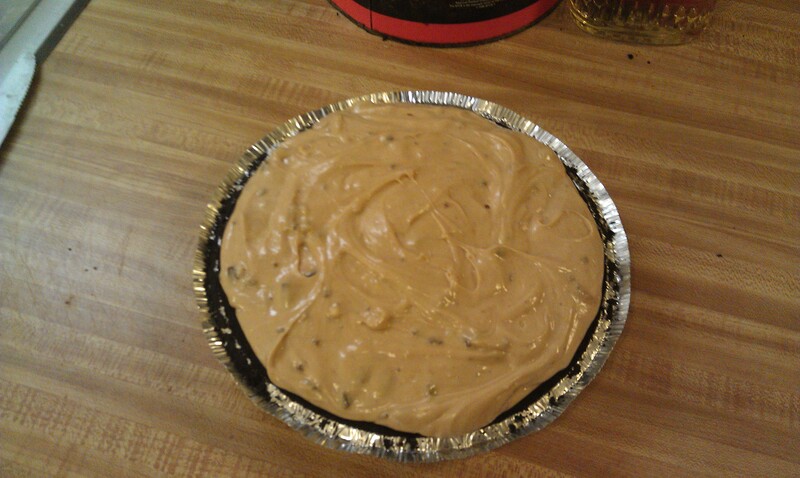 Place pie in freezer and let firm for 1-2 hours. 5. 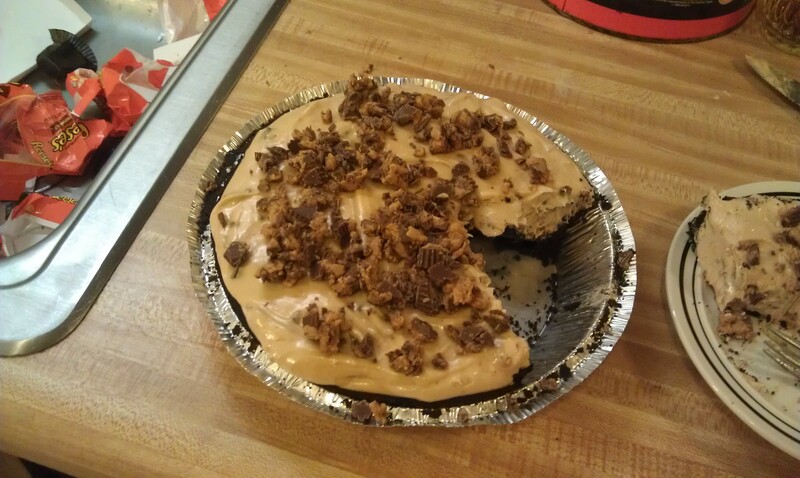 Cut up and chop the other eight Reese’s peanut butter cups, add on top of pie. Slice, and enjoy! This was very good, and have a good Pi Day, enjoy!